Pressia barely remembers the Detonations or much about life during the Before. In her sleeping cabinet behind the rubble of an old barbershop where she lives with her grandfather, she thinks about what is lost-how the world went from amusement parks, movie theaters, birthday parties, fathers and mothers... to ash and dust, scars, permanent burns, and fused, damaged bodies. And now, at an age when everyone is required to turn themselves over to the militia to either be trained as a soldier or, if they are too damaged and weak, to be used as live targets, Pressia can no longer pretend to be small. Pressia is on the run. There are those who escaped the apocalypse unmarked. Pures. They are tucked safely inside the Dome that protects their healthy, superior bodies. Yet Partridge, whose father is one of the most influential men in the Dome, feels isolated and lonely. Different. He thinks about loss-maybe just because his family is broken; his father is emotionally distant; his brother killed himself; and his mother never made it inside their shelter. Or maybe it's his claustrophobia: his feeling that this Dome has become a swaddling of intensely rigid order. So when a slipped phrase suggests his mother might still be alive, Partridge risks his life to leave the Dome to find her. Um, wow. I have no idea how to put this book into words... There are so many heart-wrenching emotions, so much loss and desperation. Pure is the quintessential dystopian novel. Unlike other futuristic stories, there is nothing pretty about Pressia's world. Baggott's harsh descriptions refuse to sugar-coat even the most gruesome of details. The world as we know it is nothing but a barren wasteland, Hell on earth, a bleak and desolate environment filled with lurking dangers and despair. Picture a Tim Burton movie's dark plot and freaky factor amplified by ten, and you might have a feel for Pure. I'll be honest- for the first quarter of the novel, I was severely weirded out and somewhat disturbed. The extreme deformities of the Wretches, on a weirdness scale from one to ten, are an eleven. From Pressia's baby doll hand to Bradwell's bird embedded back, every survivor displays signs of their horrifying encounters with radiation. Despite my revulsion at such a terrifying, horrific world, I couldn't help but become fascinated by the realness of it all. Baggott's haunting tale latched onto me and yanked me in head first, refusing to let go. When I first started the book, I snorted at the idea of having a baby doll for a hand. I mean, how much weirder can you get? By the end of the book, that doll represented every hardship Pressia faced, and I no longer laughed at it. 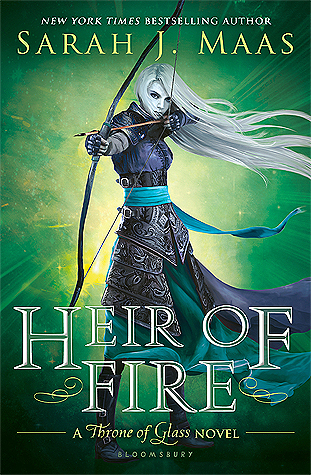 The concept of mutations such as Pressia's is so out there that at first I was worried that the entire novel would be unbelievable or ridiculous. Fortunately, Baggott's phenomenal writing pulls it off amazingly well. Raw and bleak, this story has the perfect combination of action and emotion. I was literally cringing as I read some of the vivid descriptions, and I'm exhausted after spending a day on this emotional roller coaster. What a cast of original, motley characters. Each earned a special place in my heart, no matter how deformed or flawed they appeared. Pressia is a refreshingly real character, filled with insecurities, yet she marches on like the solider she's learned to be. Her partner in crime, Bradwell, is fascinating, with his iron beliefs and awe-inspiring survival skills. Patridge is the kind of character you could easily see filling the role of the perfect Pure that every female reader has a crush on. Fortunately, Baggott stays true to her extremely creative plot and molds him into a man that I never would have expected him to become. 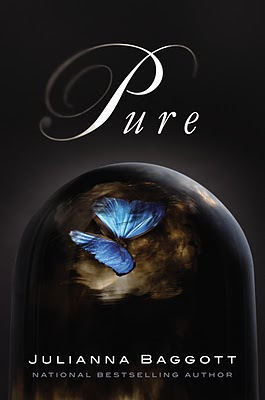 Pure isn't a novel you can enjoy. It's a novel you'll fear, love, hate, and admire. If you decide to give this exceptional novel a shot, I promise you won't regret it. Young or old, boy or girl, every reader will take a part of Pure with them after reading it.